Turbo charged Monster Trucks. Gravity-defying stunts&adrenaline pumping physics-based racing action! Step on the Gas! 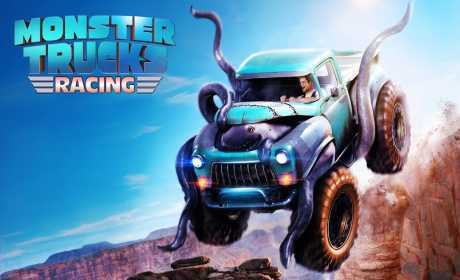 Go airborne,accelerate to top speeds, compete with friends, and race the world’s best to become the ultimate Monster Trucks racing champion. 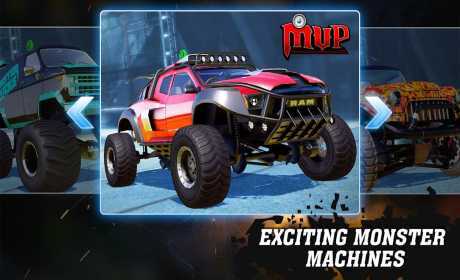 Drive the most loved big trucks – Ace High, Goliath, El Diablo, Predator and Rampage. 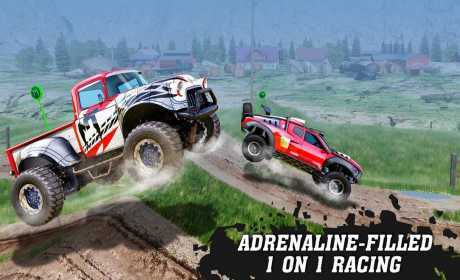 Experience a truck-load of thrilling hill climbing tracks from all over the world. Compete with friends to Top the Leaderboard. Challenge players across the globe to become the world champion in multiplayer races. Upgrade Speed, Grip, Stability& Tilt to conquer mountains and winbig competitions. Test your driving skills to overcome different obstacles like – collapsing rope-bridge, trailer, land mine, See-saw, track loop, Hover Pipe and more. Show off awesome monster trucksin ultra-realistic HD. Finish races with 360 degree spin celebrations. * The game is also optimized for tablet devices.